At age twenty-three, Colin McMahon may not appear to be your run-of-the-mill mayoral candidate, but Windsor’s political market certainly is unique, especially after Mayor Eddie Francis was elected to City Council at age 26. Frustrated with directionless pursuits and a blind eye to Windsor’s youth by our current municipal government, McMahon decided – only last week – to create a Facebook group for a prospective run for mayor of the City of Windsor. “Two thousand Fans and I’m running,” the group’s title read, last Wednesday. By Thursday that number was down to one-thousand. Today, he’s running with no holds barred. windsoriteDOTca presents our first of many candidate interviews: an exclusive interview with prospective City of Windsor mayoral candidate Colin McMahon. windsoriteDOTca: Are you serious about running for Mayor once you reach 1000 Fans on facebook? Colin McMahon: Originally, the idea was to run once I hit 1000 fans. I quickly realized that regardless of how many online fans I got, it was something I needed to do. I don’t want to watch this city, our city, continue down the economic path it’s stuck on. However, in our democratic system today, the only way for citizens to be heard is to take charge themselves. I am serious about running for Mayor, and I’m in the process of completing my candidacy paperwork. 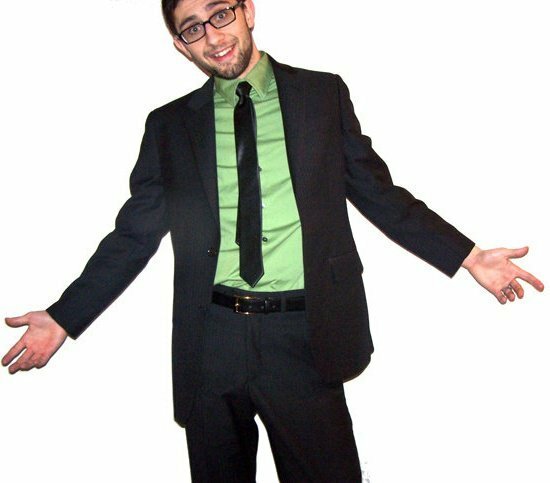 windsoriteDOTca: At age 29, Eddie Francis became the youngest elected Mayor of Windsor. Do you believe age has an impact on one’s capability to run a city? Colin McMahon: Absolutely, but not in the way you’d expect. As politicians get older, they tend to rub more elbows on the way up and end up having to scratch more backs once they get elected. I am young, but if you look at my background, I’ve been in business dealing with things well above the experience level of anyone else in my age group. I may be younger than the other candidate(s), but I know what is important to this city, and I believe that I can relate to the people and represent them better than any of the other candidates, without having to sacrifice efficiency and quality due to favors owed. windsoriteDOTca: What educational background and/or business experience do you have and how do you see it reflecting in your prospective term as mayor of Windsor? Colin McMahon: Even though I’m only 23 I’ve accomplished quite a bit in the past few years. When I was 17, Parks and Rec decided to ban all ages shows from all of their facilities. Some friends and I decided to take it upon ourselves to revive the local music scene after it fell stagnant due to the ban. The kids flocked to every show we put on. Every weekend there were 150-200 kids coming out just to see local bands play. As time went on, we started getting larger bands and more solid venues. A couple of our venues weren’t in bars though. Even though we were running safe all ages shows away from bars, alcohol, and drugs, the city still decided to shut us down and threaten me with fines. After we had a great venue shut down (The Vault), we decide to fight the city and try to convince them to let us run shows. We didn’t want money; we wanted permission to run shows outside of bars. Because of our request, the mayor called a town meeting at Devonshire mall. His decision was to form a youth advisory committee to allow us to voice our concerns. But time went on, and the mayor’s assistant stopped answering my emails and the youth committee remained stagnant. I decided to move onto other things. I opened up a small shop on the corner of Tecumseh and Howard called the Windsor Gaming Centre. It was a very fruitful venture, however in our second year of operation, as we all know, the economy took a huge hit, so we had to close up. I learned a lot about managing a team of people as well as running my own business. I feel that years of organizing shows, managing bands, and my entrepreneurial experience will help me immensely in my prospective term as mayor: data management, business management to get small businesses back on track. windsoriteDOTca: In 2006 voter turnout was 38.2% of eligible voters. Some suggest this is due in part to voter apathy by Windsor’s youngest voters. Would you expect that younger candidates would bring younger voters out to the polls? Colin McMahon: Absolutely! A major part of the reason why young voters don’t vote is because they feel unrepresented in government. They feel their concerns aren’t taken seriously by the older generation, and their feelings of apathy and nihilism stem from the thought that they’re being ignored. I have a fairly good relationship with Windsors youth, and one of my largest goals is to get them voting for what they believe in. A lot of our young voters show an interest in voting based on the fact that I am young to begin with. They can relate directly to me and know I will be fighting for them as well as what is best for this city. windsoriteDOTca: Windsorites will not face a single municipal tax increase in 2010, at the cost of some significant service cuts. Do you think a city can survive by cutting and scaling back instead of raising taxes and investing in itself? Colin McMahon: I definitely think that the city can survive with tax cuts in the industrial sectors. Windsor has the highest industrial property taxes in North America. People wonder why we can’t attract new businesses, and this is one of the biggest reasons. We need to stop taxing the corporations that this city is built on, and start creating incentives for new businesses to grow. windsoriteDOTca: A lack of an all ages youth venue in Windsor has been an issue for many years. Organizations like the Mayor’s Youth Advisory Committee have been setup to work toward a solution. What ideas do you have for Windsor’s youth and how could you work with the MYAC to create an all ages venue? Colin McMahon: The MYAC has done absolutely nothing in terms of getting a venue up and running. Creating an all ages youth venue in Windsor has been my goal for many years, and I’ve got my own team ready to roll with a complete youth/teen center that will encompass everything from skateboarding and music concerts to ballet and sewing classes. If the budget won’t allow for a youth venue, I’ll subsidize one with my own paycheck. windsoriteDOTca: With a switch in auto manufacturing jobs to green technology, how can Windsor be promoted as THE destination for green energy manufacturing in a way that makes our city prosperous and successful? Colin McMahon: Windsorites have faced a lot of economic hardships in the past few years, but we’ve shown ourselves to be resourceful, productive, and above all, resilient. The way to attract not only green energy industries, but any industry in general is to award them for choosing our city as a main hub for their manufacturing plants. We are, and always have been an amazing manufacturing city, it’s where we excel. No matter what type of manufacturing we are doing, we will do it better and more efficiently than any other city. This is what we need to convey to large companies, and this is what we need to promise them. windsoriteDOTca: In this age of web technology, can you see social networking (Facebook, Twitter, etc) being a successful medium through which to campaign for mayor? Colin McMahon: Yes I do. Facebook and other social networking sites will be the main hub of all my advertising. The majority of young voters has a Facebook account, and it’s a great way to get information out en masse efficiently. We will be campaigning through more traditional methods as well, but all of our supporters will receive most of their updates and information electronically. windsoriteDOTca: What do you think about Windsor’s downtown: how can it be fixed, what ideas could work to spur investment and could Downtown Windsor be a successful retail destination? Tourist destination? Colin McMahon: Firstly, we need to stop believing the notion that on weekends, only Ouellette needs to be policed – that Pelissier and surrounding streets, which are largely unlit, have a low police presence, and have been the locations of multiple shootings and stabbings recently, should be let go. After the most recent shooting, Mayor Francis implied that people should just stay away from that area. We cannot, and will not, let certain parts of our city fall to the drug dealers and gangs. We need more officers, not just downtown, but across the city. There are more and more vacant storefronts downtown, and we need to change this. By offering incentives like tax breaks and first-time business owner bonuses to entrepreneurs, we can get more local investment in our city and create more jobs. Our downtown core should be thriving everyday of the week, not just busy on bar nights. Right now, people come from out of town for our strip clubs, the casino and our low drinking age. We need to first advertise the natural beauty of our city – our extensive waterfront, our immaculately groomed parks, and our waterfront sculpture garden. Many cities don’t have the luxury of so much public waterfront property! Next, we need innovation. I don’t think a multi-million dollar canal through the middle of the city is the best solution right now. Instead, let’s create something practical, useful and unique for citizens that will also attract outside attention and business. Colin McMahon maintains a Facebook group for his prospective candidacy at this location, and is in the process of filing his application with the local elections returning officer.